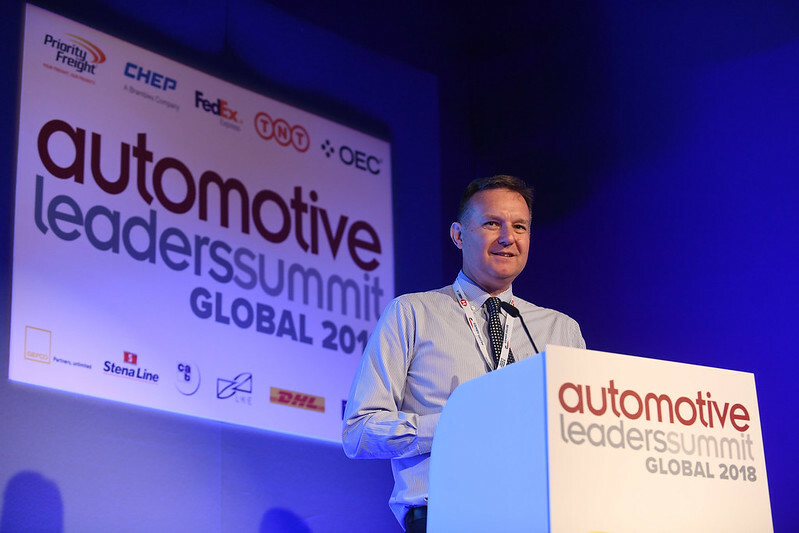 The Automotive Leaders Global Summit started with plant tours to Jaguar Land Rover and BAC Mono’s plants in the region, on 20 June. The evening saw a networking drinks reception and barbecue at the historic Titanic Hotel in Liverpool. The summit proper opened on the morning of 21 June as part of the International Business Festival at the Liverpool Exhibition Centre. 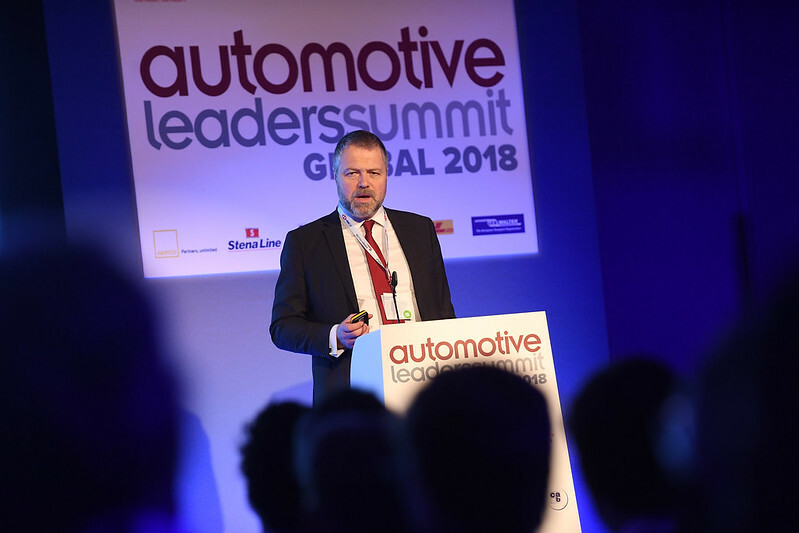 Christoph Stürmer, Global Lead Analyst at Price Waterhouse Autofacts opened the event with a presentation on Global Automotive Trends and Forecasts. He began with a reflection on a news release from Daimler, downgrading their sales forecast, in SUVs, saloons and sports cars. Stürmer touched on the reasons for this and the general downturn in vehicle sales globally, that of the rising costs of meeting ever more stringent emissions legislation. Meeting these new rules has also slowed R&D and production and put pressure on the finished vehicle chain. He went on to talk about the high percentage of light truck sales in the US, changes in the market in China and the influence of the booming EV market there. Colin Smith, Certification Manager for Transport, Energy and Emissions Specialist at the Energy Saving Trust gave a presentation on the impact of the supply chain on the environment. He detailed some of the major culprits and examined the various initiatives of OEMs, tier suppliers and logistics providers. The issue of the Worldwide Harmonised Light Vehicle Test Procedure (WLTP) reared its head; the disruption this testing has caused to finished vehicle logistics has resulted in a lot of extra emissions and wasted fuel. Commander Terry Virts, a NASA astronaut, presented a fascinating insight to the considerable complexity of the logistics operation surrounding the launch and operation of a space shuttle, detailing the various supplies that simply have to be transported and loaded for the astronauts to work and indeed survive long periods in space. He showed examples of safety procedures on the space station and spoke about how, when an alarm sounded on the station, all political differences between the US and Russian crews were put aside and the two teams worked together very closely to resolve the situation. Virts talked about the importance of the innovations pioneered in space technology research and how they have impacted on many industries, particularly logistics and supply chain. He spoke of how the first 50 years of space exploration was government-funded but that the next 50 years would likely be funded by private companies and some public-private initiatives. After Terry Virts’s presentation, the summit audience divided; a Battery in Focus Group Meeting sponsored by logistics provider CHEP gathered in a separate room - find the report on this session here. The main conference hall saw a session on Improving Finished Vehicle Distribution. As the global manufacturing footprint of all OEMs continues to expand, so finished vehicle logistics becomes more important - can it help carmakers find new production and sales locations? This was one of the questions posed and considered by the panel of Emmanuel Arnaud, Executive Vice President - Sales & Marketing from session sponsors GEFCO joined by, Ben Waller, Senior Researcher at ICDP, and Stuart Warren, Business Unit Director and Managing Director of CAT Vehicle Logistics. Arnaud gave a short presentation of the innovations being made by GEFCO in new personal mobility models and how the changing face of vehicle ownership would have tremendous impact on outbound logistics providers, driving them to provide many more services than simply shipping finished vehicles. Ben Waller then started off the discussion forum with a short statement about his view of the changes happening in the industry. Stuart Warren then spoke, highlighting the importance of nurturing staff and motivating them to help provide the new range of flexible services demanded by new personal mobility initiatives. Waller then asked Warren and Arnaud about WLTP and the impact this is having on finished vehicle logistics. Both panel members said that they had seen some impact from the introduction of WLTP; they had both found themselves having to find more storage space for vehicles waiting for or undergoing tests and that WLTP was disruptive but not in a good way. Brexit was discussed; Arnaud stated that France was quite pleased with the prospect of re-opening the Calais and other ports customs offices and that Carlos Ghosn, CEO of Renault-Nissan-Mitsubishi had said that Renault-Nissan-Mitsubishi was very well placed to benefit from Brexit. The thorny issue of forecasting was brought up next; Warren commented on how important accurate forecasting is, to enable logistics providers to plan and invest for a sustainable future business model. He pointed out that logistics companies tend to have to work on very short windows, sometimes a few hours, balancing OEMs demands for vehicle delivery, and their manufacturing outputs. Arnaud took a different tack to the question, citing the long-term investment required in truck and rail car infrastructure and to plan for and justify these high levels of expenditure, greater collaboration between all parties is required. 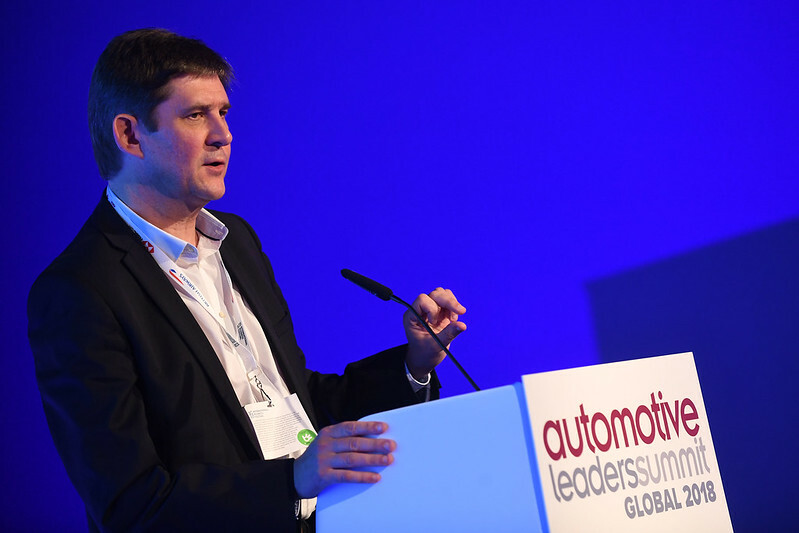 Nigel Swycher, CEO of Aistemos (main picture), presented an insight to his company’s exciting new initiative on patent management and protection in the automotive world, called Cipher Automotive. He showed some surprising figures on the number of patents filed by both OEMs and suppliers. These are increasing rapidly as new technologies come to the fore, such as autonomous driving, connected vehicles and new propulsion systems. He showed how OEMs and suppliers could see developments made by their competitors through their patent filings instead of buying in vehicles and dismantling them. After lunch, cyber security and the privacy of users’ data captured by vehicles was discussed in a presentation by Andrea Amico, founder of Privacy4Cars. He showed illustrations of the great deal of data that is often left on vehicles after they have been hired or leased, and that drivers should start ‘cleaning off’ their personal data – which in many cases isn’t done today. He spoke of the free-to-download Privacy4Cars’ app, which allows one to get personalised instructions to delete all data from hundreds of vehicle makes, models, years, and trims. Amico went on to talk about the need for increased awareness of privacy and cybersecurity implications not only for vehicle users, but across the broader automotive ecosystem. He rounded off his presentation with the statement that protecting data in this way is fundamental to a healthy future for the connected vehicle of the future. 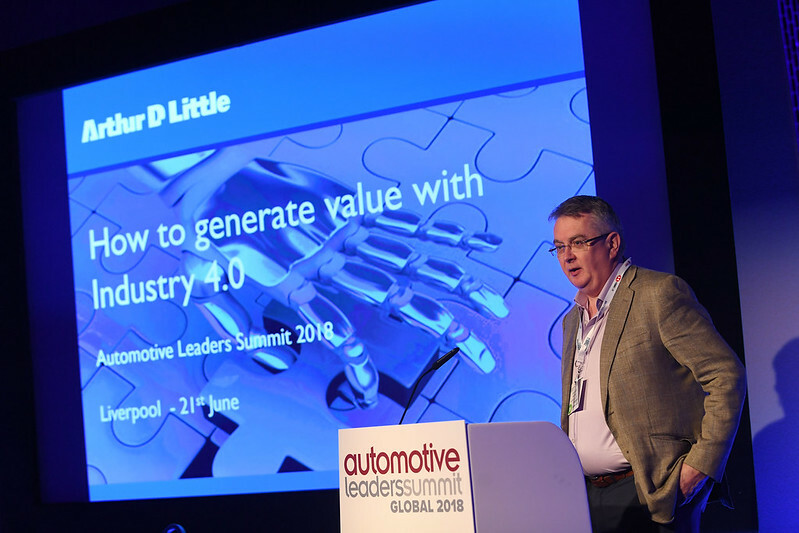 Industry 4.0 was the subject of a presentation by Greg Smith, a partner at consultants Arthur D Little. 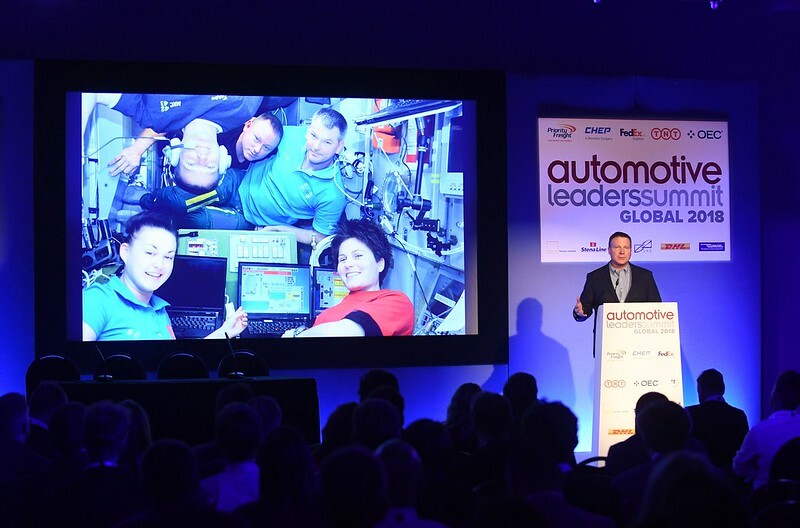 Smith took the audience through the evolution of the automotive and other industries. He showed examples of how all of the industry needs to embrace new software. He said that this area is what the industry has been worst at developing over the last 20 years. Smith said that the highly skilled nature of the automotive industry actually works against it as it makes change much more difficult. He then talked about the very high earning power of graduates working in Silicon Valley, how the automotive industry cannot always afford these IT experts and that there are not enough of them available to service the auto industry’s needs at the moment. Smith showed examples of data driven logistics platforms such as EyesOnFreight, a 3PL marketplace and uShip, a trucking marketplace. Summing up, he said that early adopters of Industry 4.0 technologies will outperform follower companies by a 2x factor. The subject of the Smart Factory was discussed by Andrew Peters, Managing Director of the Siemens Digital Factory in Congleton in the UK. Peters showed a video which illustrated the local initiative called Congleton 2020, to help its customers achieve greater efficiency through the use of intelligent software and hardware integration. This includes pioneering digitalisation, automation and data connectivity to accelerate global competitiveness. He pointed out that all this expertise would come to nothing without the right calibre of people working within Siemens and transferring their knowledge to their customers. Steve Richmond, Director of Logistics Systems at forklift truck and material handling solutions maker Jungheinrich gave a presentation with an interesting history lesson on the development of the lead-acid battery in forklift trucks and the great improvements in charging infrastructure and regeneration systems on these trucks. He said that while lead-acid batteries have improved, they are still quite inefficient; they are heavy, slow to charge, dangerous in weight and chemical terms and use a lot of space. Richmond said that the drivers for technological development include reduced maintenance, better ergonomics and greater efficiency. Steve Harley, Managing Director for Asset Businesses (manufacturing, plant, logistics and procurement) at Laing O’Rourke, formerly of Ford Motor Company, chaired a discussion panel with John Willems, Director Industry Marketing Automotive at TNT Express, Bernard Molloy, Global Industrial Logistics Director, Unipart Logistics and Chairman of Board, LKE Group UK, and Rainer Kühlwein, Director of Manufacturing at Briggs Automotive Company (BAC) Ltd, the bespoke sports car maker. Steve Harley asked the panel where they saw the risks that will affect the supply chain. 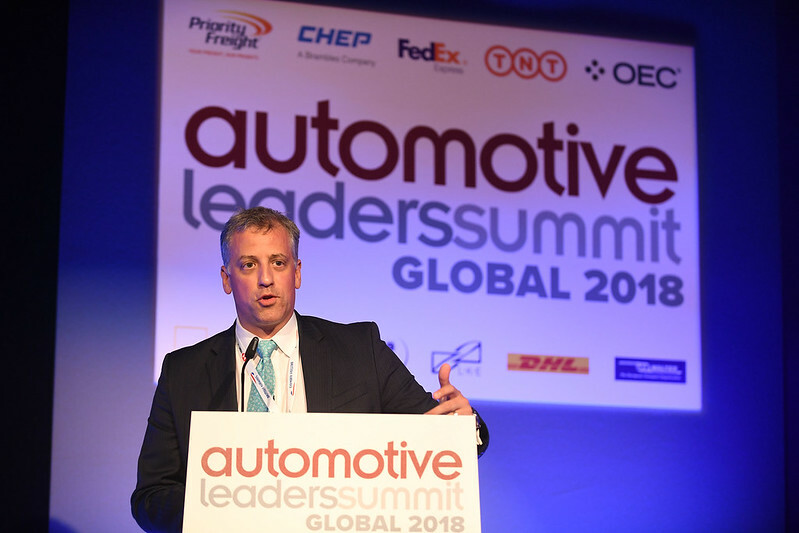 John Willems answered that more collaboration and communication from OEMs and tier suppliers was essential and that issues such as the WLTP have had considerable impact on the inbound supply chain as well as on finished vehicle distribution. Bernard Molloy bemoaned the paucity of apprenticeship schemes and said that people must be multi-talented and flexible. He asked all the delegates to encourage young people to come into the supply chain industry and make their way up through the ranks, as he and Steve Harley have done. Rainer said that he has had to work very hard with suppliers to align them to BAC Mono’s component and delivery demands - top quality parts delivered to their schedule. He cited the example of a brake maker that had tried for several years to set up a supply chain with a volume OEM. The supplier achieved this with BAC Mono within 12 months. He explained the high price point of the BAC Mono and said that it was intentionally set where it is, in a range where there is little or no competition. Following their break-out session, the Battery in Focus Group Meeting sponsored by logistics provider CHEP, returned to the main conference hall and discussed their findings with chair Christoph Stürmer. The panel included Vanessa Stark of CHEP, Matthias Krings of Ford Motor Company, Fabien Mandrillon of Kuehne + Nagel, and Lindsay Goater of the UK Department for Business, Energy & Industrial Strategy. 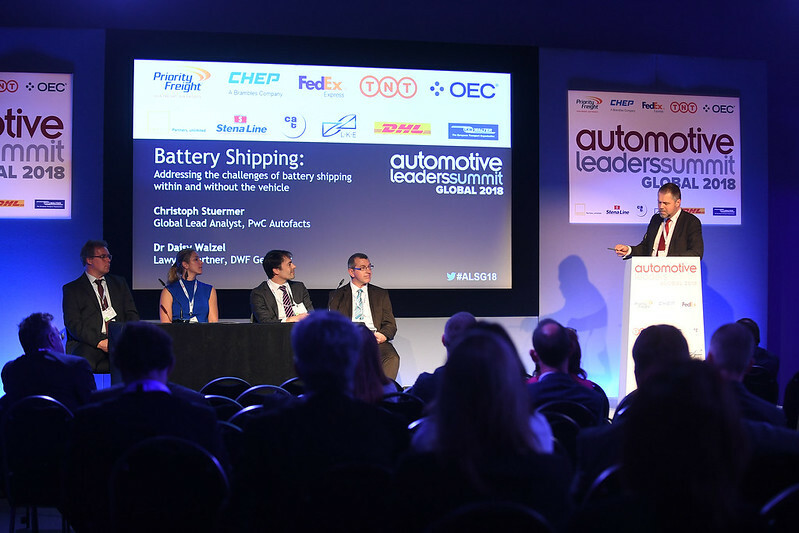 Topics discussed included safety in battery handling, the difficulties of transporting by various means, packaging and the need to apply lean and sustainable packaging methods already used in automotive logistics. Dan Parnell, Distribution Quality Manager of Finished Vehicles at Jaguar Land Rover asked the panel about transporting batteries already fitted to the vehicles and they all replied that so far, the logistics industry had not encountered any significant problems and that the longest delivery time had not yet gone beyond the charge life of a traction battery in an EV or hybrid but that with the growing popularity of EVs etc, this could start to be a problem. 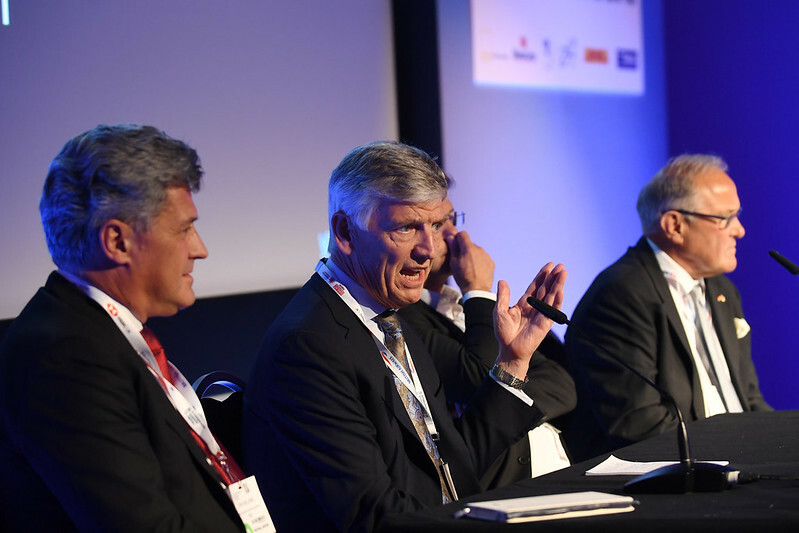 The summit closed with some acute observations from the panel members, all coming to the conclusion that the area of battery transport was going to become one of the most important elements of tomorrow’s supply chain.